Follow this link for accommodation specialists Discover Stradbroke, who are a longstanding major sponsor of the Stradbroke Chamber Music Festival. They are happy to help you find a perfect place to stay from their 100+ premium North Stradbroke Island accommodation options, with pet-friendly, couples’ retreat and family holiday houses and apartments. When booking an accommodation package that includes vehicle ferry travel to and from the island, check that your accommodation provider is aware of the 20% fare discount being offered to festival patrons by our sponsor Sealink Stradbroke Ferries. The promotional code is available for booking from now until 28 July 2019, and applies to standard cars up to 5.4 m long, for return travel between 19 July and 4 August 2019. Quote the promotional code over the phone to receive the discounted rate. 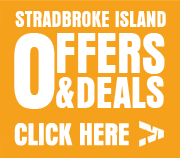 Visit www.stradbrokeferries.com.au and book, making sure that you enter the promotional code. The discount applies to return travel to North Stradbroke Island between Friday 19 July 2019 and Sunday 4 August 2019 inclusive, valid for bookings made from now until 28 July 2019. Standard cars up to 5.4 m long only. Outbound journey must be from Cleveland and return from Dunwich. Beautiful North Stradbroke Island is located in Moreton Bay, Queensland, Australia. Click on the link above for directions to the island. I give permission to store the above data and use it to contact me.